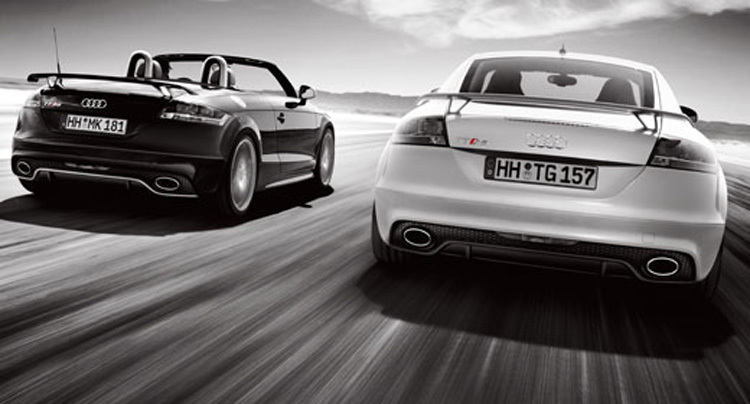 Ahead of Audi TT RS’s launch at the Geneva Motor Show, some photographs have been released. The pictures show the details to some extent with which the car is coming. Apart from pictures, the known details are it remarkable speed boost which is from 0 to 62 mph in less than 5 seconds’ time. 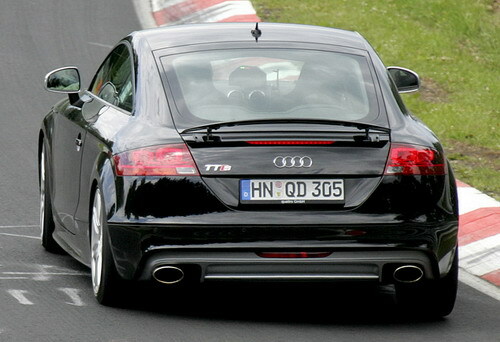 With a five cylinders engine and 2.5 liters direct injection turbocharged engine, Audi TT RS offers a splendid experience of 331 lb-ft of torque and 340 hp. The top speed extends up to 155 mph (the speed is electronically limited) with the standard all wheel drive and a 6 speed manual transmission. Structural details as evident in the pictures, the car has an exotically graceful front view. Embellished with a fixed rear spoiler, LED daytime running lights and a captivating rear bumper the car stands out from its predecessors. 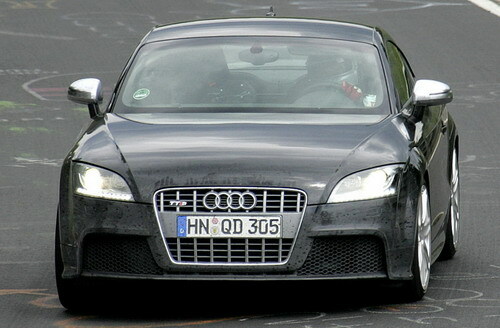 Audi TT RS is a high performance car with better suspension tuning and larger brakes. The interior has been keenly taken care of. Stacked in with leather covered seats, are quite sporty. 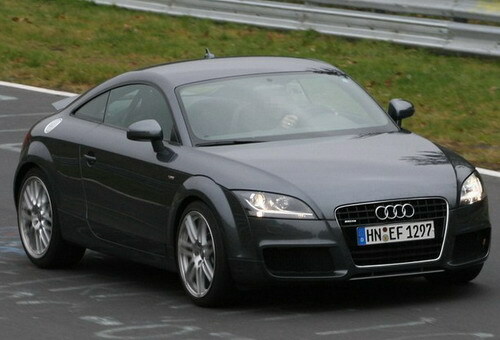 It has also been announced that Audi TT RS would be available in Coupe and Convertible in Europe. America has been left behind regarding the car’s launch, and no decisions and announcements have come forth in this regard. The car no doubt has a tough competition waiting at the auto show. Yet by looking at the pictures and the few details provided, it can be assumed that the exotically beautiful car will see less difficulty in getting acceptance.